The last pathetic relics of the luxury and splendour with which the pre-war Russian aristocracy loved to surround itself were recently on view at No. 1 Belgrave Square -- just two doors away from the residence of the Duke and Duchess of Kent , writes a London correspondent. Because of her Tsarist ancestry , the Duchess was called upon to perform the opening ceremony and make her first official speech in England since her marriage. This was one of the shortest on record. She simply smiled and said: "I have much pleasure in declaring the Exhibition open." The Duchess made the rounds of the spacious rooms, filled with the ikons, the priceless jewels, the bibelots, the pictures and rich embroidered stuffs which White Russians, flying for their lives, managed to smuggle out of the country before the Bolshevist regime took over. 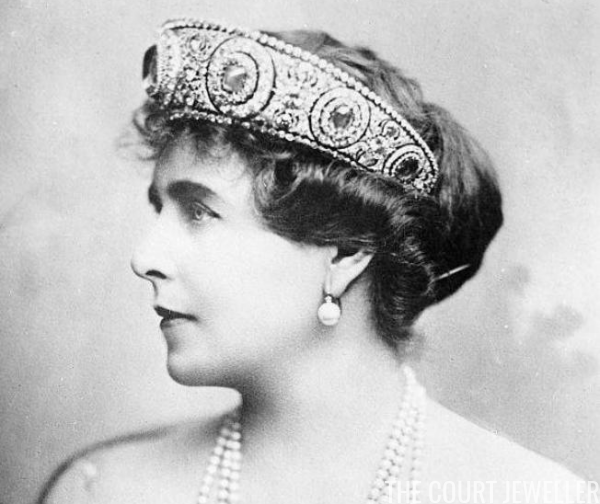 She gazed at the magnificent -- almost flamboyant -- tiara of sapphires and diamonds, now the property of Queen Marie of Romania . The sapphires, as big as pigeons' eggs, almost dwarfed diamonds of such size and splendour that alone they would have made a rare and wonderful blaze of light. This originally belonged to her grandmother, the Grand Duchess Vladimir, whose collection of jewels was famous, even amid the barbaric ostentation of pre-war Russia. 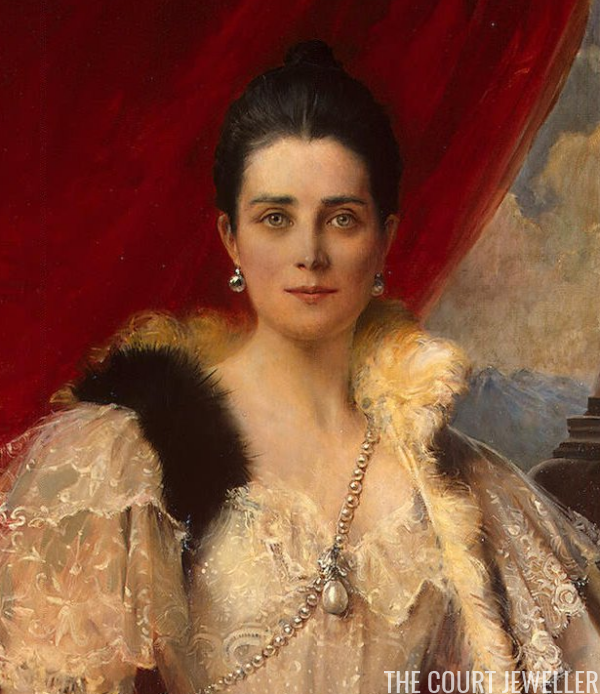 So that they might never be shut away from her gaze, this Grand Duchess had glass cases all round her bedroom, in which her jewels were displayed. Among the jewels there are six exhibits worth 100,000. One pear-shaped pearl , which tradition declares to be the pair to that dissolved in wine by Cleopatra, is literally priceless. It is regarded as so valuable that no price can be placed upon it. Once owned by Philip II of Spain, and by Louis XVI of France, it came into the possession of Princess Tatiana Yusupova in 1826, and still remains in the Yusupov family. An enormous spray of diamonds and turquoises, representing a loose bunch of cornflowers, drew envious glances from all women present; and so did the necklace of sapphires and diamonds, with a pointed diamond fringe. 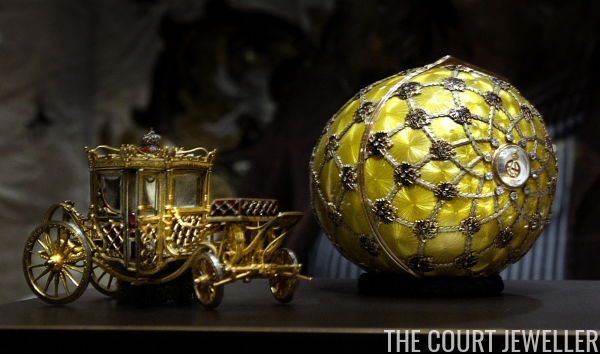 Perhaps the most enchanting section of all was that devoted to the work of Faberge, the famous jeweller of French descent who won favour at the court of Tsar Nicholas II, because of his ingenuity in devising the most extravagantly beautiful little toys and bibelots. Many of those which survived the downfall of Russia are now the property of Queen Mary, who delights also in their exquisite workmanship. There was a little crowd of women around the miniature jade piano , for instance, with its tiny ivory keys, and lid that opens and shuts perfectly. Then Faberge excelled in the production of Easter eggs; and for each of the great Russian Easter festivals, he used to think of some new idea to please the Tsar. One was in the form of a bay tree, its leaves of fine jade and spangled with diamond and amethyst. This was placed on a plinth of jade and diamonds, surrounded by posts and chains of the same precious stones. Within, there was a tiny diamond bird which popped out and sang, upon pressing a secret spring. 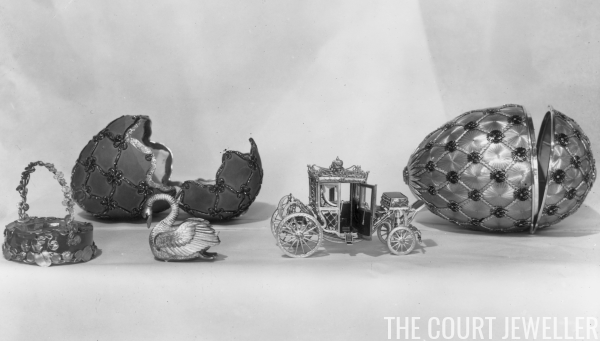 One of the charms of these extravagant toys of Faberge was that they all worked. Then there was the Easter egg of pink enamel, covered all over with lily-of-the-valley blossoms in pearls and diamonds, which had tiny flaps in its sides, revealing miniatures of the Tsar and the two Grand Duchesses. One of gold and yellow enamel contained a tiny model of the imperial coronation coach in gold, and carried out with a wealth of painstaking detail. An egg of rock crystal held within its transparent depths a graceful golden tree, as well as a mechanical peacock in rich blue and green enamel. 1. Prince George, Duke of Kent (1902-1942) and Princess Marina, Duchess of Kent (1906-1968). George was the fourth son of King George V and Queen Mary of the United Kingdom; Marina was the youngest daughter of Prince and Princess Nicholas of Greece and Denmark. 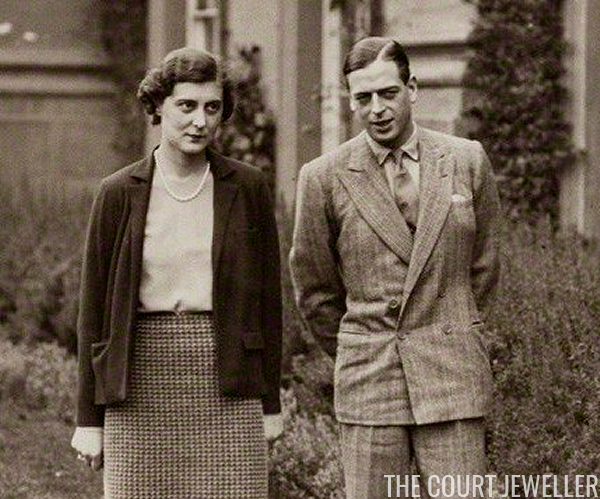 George and Marina married in November 1934 and established a home at No. 3, Belgrave Square. Their first two children, Edward and Alexandra, were born at No. 3. 2. Marina's mother, Princess Nicholas, was born Grand Duchess Elena Vladimirovna of Russia, the only daughter of Grand Duke Vladimir Alexandrovich (a son of Tsar Alexander II) and Grand Duchess Maria Pavlovna (better known to history as Grand Duchess Vladimir). Moreover, Marina's paternal grandmother was Queen Olga of Greece, who was born Grand Duchess Olga Constantinovna of Russia; she was a granddaughter of Tsar Nicholas I. 3. You can read much more about the sapphire kokoshnik made by Cartier for Grand Duchess Vladimir (and later purchased by Queen Marie of Romania) in our post over here! 4. This is the pearl known as "La Pelegrina" (not to be confused with the more famous "La Peregrina"). The Cleopatra story is a bit of fantasy, because La Pelegrina was discovered in Central America in the 16th century. King Philip IV of Spain gave it to his daughter, Princess Maria Theresa, when she married King Louis XIV of France in 1660. By 1826, the pearl was in the collection of Princess Tatiana Yusupova, the wife of a Russian nobleman and a lady-in-waiting to Tsarina Alexandra Feodorovna (wife of Tsar Nicholas I). The pearl then passed to Tatiana's daughter, Princess Zinaida Yusupova, and her grandson, Prince Felix Yusupov (best known as one of the assassins of Rasputin). Felix sold the pearl in the 1950s. 5. 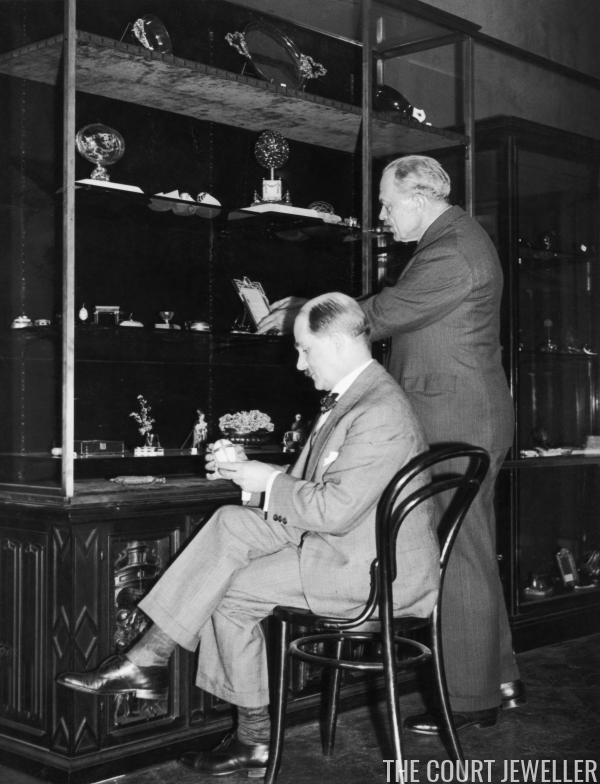 Queen Mary purchased the miniature jade piano between 1922 and 1931. You can read more about the piece at the Royal Collection website.